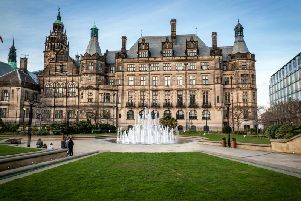 The weather in Sheffield is set to be mostly dull today, as forecasters predict cloud, heavy rain, strong winds and some small periods of sunny spells. A yellow weather warning for wind is in place for Sheffield from 12pm tomorrow until 6pm on Saturday. This morning will see heavy rain, which will continue into the afternoon. The temperature will reach 5C by 12pm. 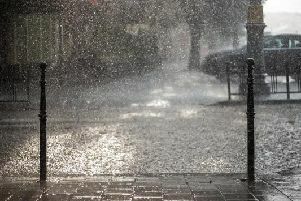 Heavy rain will continue until around 3pm, when there will then be a mixture of small sunny spells and cloud. The temperature will reach its peak of 7C by 3pm and remain so throughout the afternoon. This evening will become quickly dark, with the temperature dipping to 5C by 7pm and remaining so throughout the rest of the evening. Overnight temperature of 5C. Tomorrow is set to see strong winds and light and heavy rain throughout the day, with a maximum temperature of 10C. Looking further ahead, the Met Office UK outlook for Monday 11 Feb to Wednesday 20 Feb said: “The new working week will start largely dry, bright and frosty with fairly settled conditions. “However it will become more unsettled in the northwest early in the week, with strong winds and rain here at times. “Any snow is likely to be confined to hills. Southern and eastern areas will have a good deal of dry and often bright weather although overnight fog may become increasingly likely. “After a cold start most places should see temperatures around where we would expect for early February but with overnight frosts likely across central and southeastern areas.